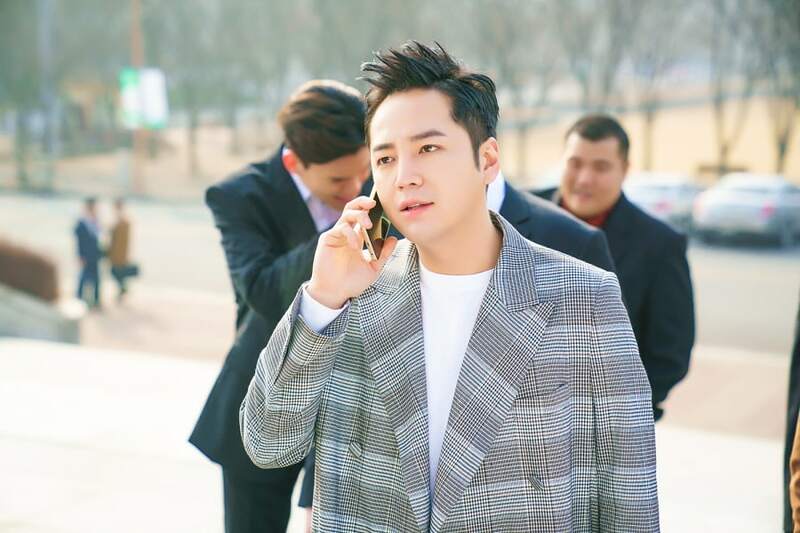 In upcoming drama “Switch,” Jang Geun Suk plays the two roles of Cha Do Chan [sic], a genius conman who tries and fails to become a prosecutor, and Baek Joon Soo, a prosecutor who follows the law by the letter. 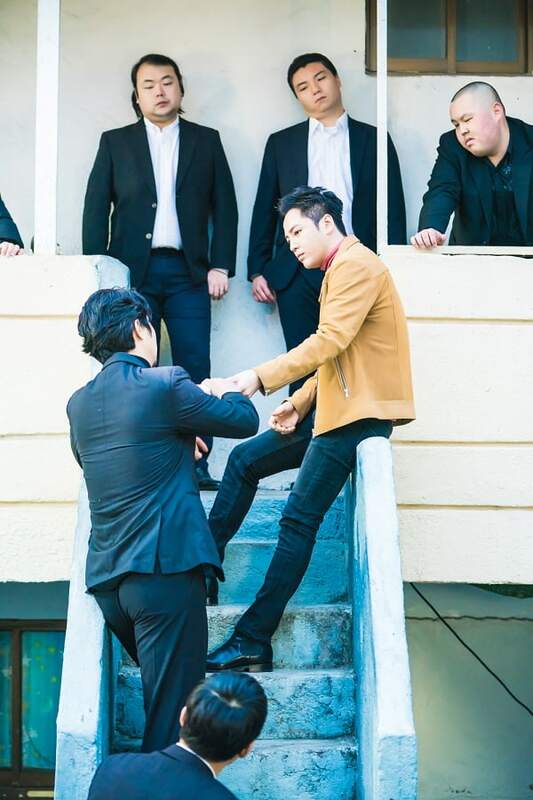 In the first set of new stills, Jang Geun Suk takes part in a suspicious deal while surrounded by a slew of gangsters. Though the men clearly are trying to intimidate him, he confidently perches on the staircase while deep in thought. 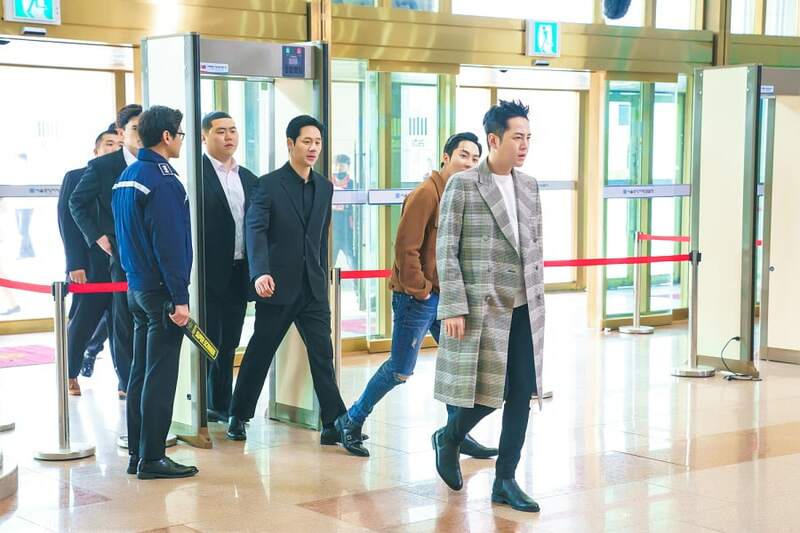 In the second set of stills, he takes a phone call as he leads the very same gangsters through the front entrance of the Public Prosecutor’s Office. “Switch” will air its first episode on March 28. Don’t forget to check it out on Viki!